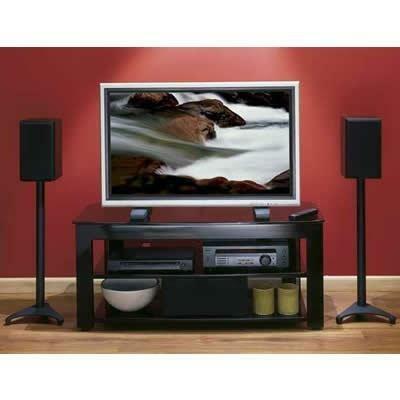 The Sanus Foundations Steel Series SFV49 is a three-shelf AV stand featuring heavy-gauge steel construction and crisp, clean lines to create a modern, sophisticated look. 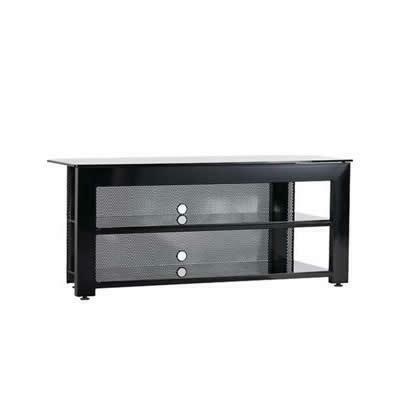 Its tempered-glass top and shelves are extra-thick to support most TV and AV component systems. Features include a wire management path to neatly route cables, an aesthetic perforated steel back panel, open architecture for maximum airflow, and adjustable feet to ensure level and secure positioning on any floor surface.